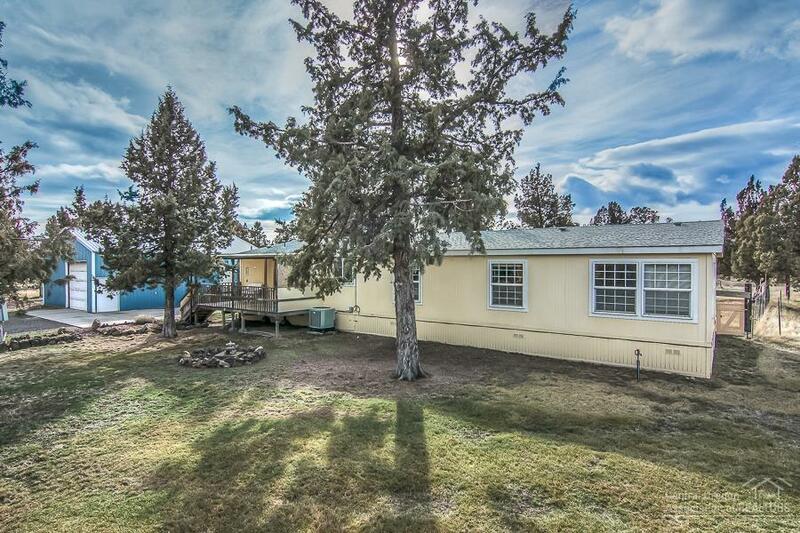 Nice flat 5 acre parcel fully fenced and gated with chain link for security, low maintenance and longevity. 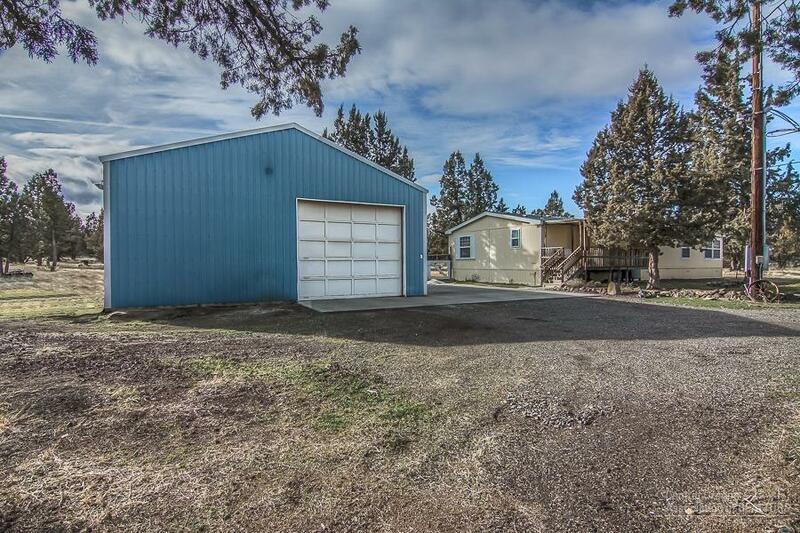 The manufactured home has three bedrooms, 2 baths, plus a den with great windows to fully experience sunny Central Oregon. 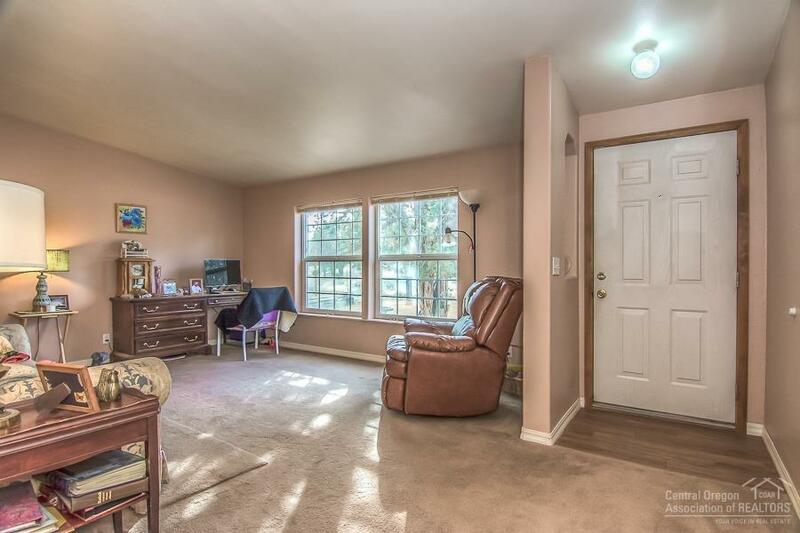 Wood grain vinyl floors and carpeting, separation for master bedroom, living room and family room areas. 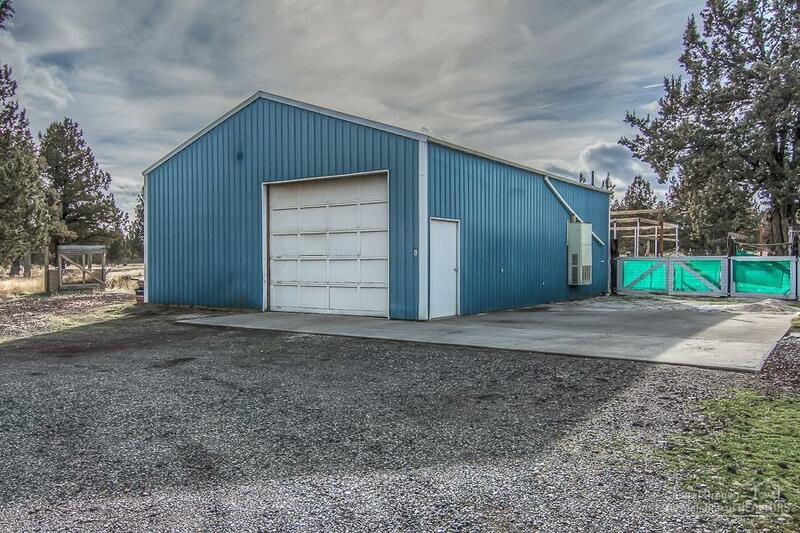 Shop is 30 x 40 metal with concrete floor, furnace, upgraded electrical, and full bath with shower. Private well and 2 RV hookups. Check it out!